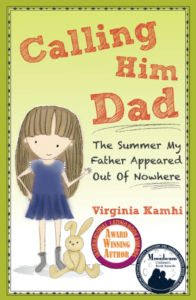 Virginia Kamhi was born and raised in Southern California. The youngest of three sisters, she roamed the foothills surrounding her house, built forts, rode eucalyptus stick horses, and roller-skated on the badminton court her father had built. Once, when skating too fast, she skated right off the court and down the hill into a cactus patch! Virginia loved to scare her friends by trying to steal honeycomb from the neighbor’s beehive without getting stung. Her mother, who was extremely allergic to bee stings, would carefully remove the bees that were tangled in Virginia’s hair with barbecue tongs. Virginia also loved playing with her Chihuahua, Eddie. She dressed him in doll clothes and pushed him about in a stroller. But most of all, she loved to read. She would grab a book and hide from her mom when it was time to do her chores, and at night, after the lights had been turned out, she read by flashlight. Virginia is now a teacher in Ocean View School District (Oxnard, California), where she has taught every grade from K-4, both bilingual and English-only classes. She has studied writing for children at UCLA and has written many stories to share with her students. She has also been a fellow of the South Coast Writing Project and contributed to professional journals. This is her first children’s novel. 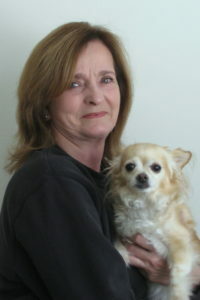 Virginia currently lives in Thousand Oaks, California, with her husband, Victor, and long-haired Chihuahua, Chiquita. Her grown son, Philip, lives in the San Francisco Bay area, and is engaged to marry Florence Ko, the illustrator for this book. In her spare time, Virginia enjoys traveling all over the world, seeing new places, meeting new faces, and, of course, writing. Florence Ko is a graphic designer and artist. Ever since she was young, she remembers enjoying painting and drawing. In the 6th grade she was introduced to oil pastels in her art class, and it inspired her to learn more about art. In the 7th grade she started entering art contests and even won her first award in an art show for a drawing of a Panda. As a kid, Florence liked to play with her younger sister and brother. In her parents warehouse, Florence and her sister would build massive structures out of cardboard boxes and then they would play house in them. Eventually, the houses would get too big and Florence and her sister would get in trouble for dangerously climbing all over the massive cardboard houses. Florence studied graphic design at California Stat Polytechnic University, Pomona. She currently works as a graphic designer, and she has designed logos and advertisements to market various products. In her free time, she enjoys making craft art projects and spending time with her family and long-haired Chihuahua, Maggie. She also enjoys traveling and seeking out adventures everywhere. She was born and raised in Los Angeles, California to immigrant parents from Taiwan and Cambodia. Florence currently resides in the San Francisco Bay Area. This is her first illustration for a book.